Cyrsti's Condo: Down to the Wire! 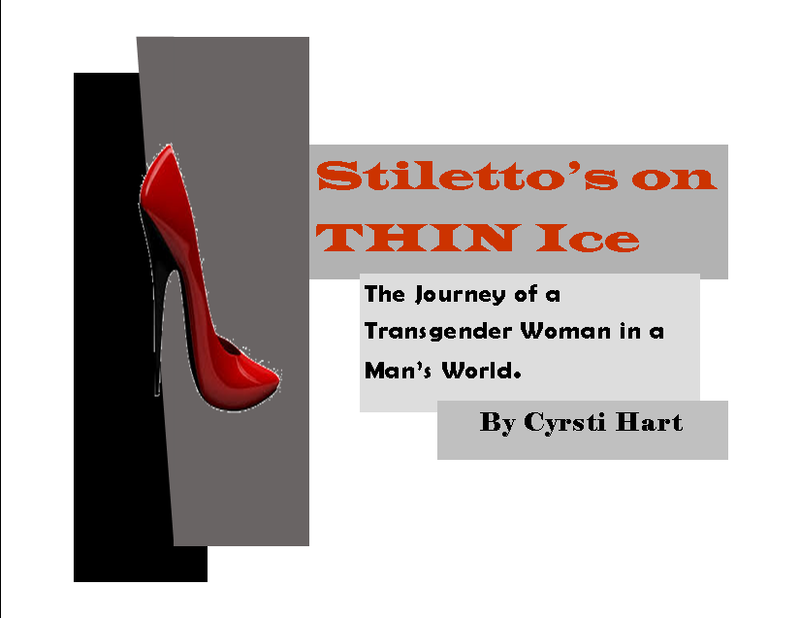 My friends are sick of hearing me say anything and maybe you are too-but it's true I'm down to five days until I send my "Stiletto's on Thin Ice" E-pub book off to be published. With my friends, it's difficult to explain what the book is all about because they don't really know or care anything about my past. To them, I came into their life as a transgender woman approximately five years ago and that's it. I'm sure they are thinking, "Just do it and shut up!" For those of you who are Cyrsti's Condo regulars, you already know what it is all about-a synopsis of how I got here in my life. Along the way of course, are a ton of wrong moves, dead ends and huge discoveries over the course of 50 years. I suppose the book could be called a tragedy because I took so long to face up to whom I really was or a celebration of actually finding out. As I have said before, the book will be very inexpensive and I am certainly not seeking wealth or riches from it. If you do choose to buy it, I'm sure you will recognize certain experiences and thoughts from here. Hopefully in a lot more depth. I'm also sure as soon as I press the "pub" button, I will be asked many more technical questions before the book goes "live." Hopefully by Friday though, I will be one of the millions who have been told "you ought to write a book"-who did. I guess it's one step up from being told you should be on the "Jerry Springer Show."